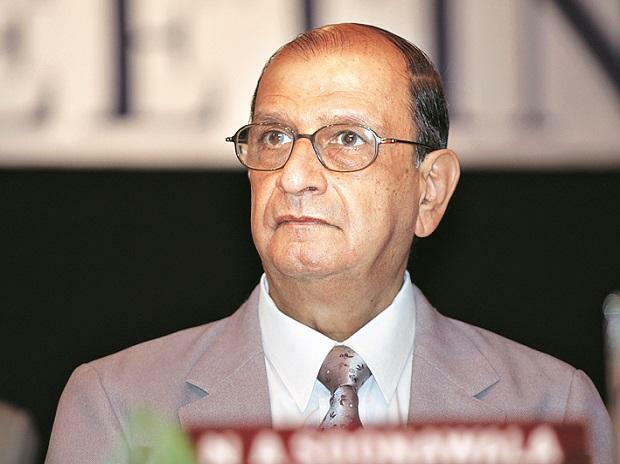 N A Soonawala (pictured), a Tata group veteran and a close confidant of group patriarch Ratan Tata, has decided to retire as the trustee of the Sir Dorabji Tata Trust and Sir Ratan Tata Trust citing his health and advanced age. Tata Trusts said Soonawala, 83, has expressed his gratitude to the trustees for providing him with the privilege of working with them and the directors of the Tata group, who have been his colleagues during his 50-year long career. Soonawala was vice-chairman of Tata Sons till his retirement in 2010. Soonawala joined Tata group in 1968 and was Tata Sons finance director for a long time. The Tata trusts own a 66 per cent stake in Tata Sons, the holding company of the Tata group. "The trustees acknowledge the significant contribution Soonawala has made as a trustee and in the group over the years and respect his desire to step down from the trusts. Ratan N Tata also expressed his personal thanks to Soonawala for his colleagueship over the years and wished him good health in the years ahead," said a statement from Tata Trusts. On February 14, Noel Tata, the half-brother of Ratan Tata, was appointed as a trustee to the Sir Ratan Tata Trust. Sir Ratan Tata Trust is the second-largest trust among the dozen-odd charities that make up the Tata Trusts. Insiders said Soonawala played an important role in getting Noel Tata, half-brother of Ratan Tata, on the board of Tata Trust. As of now, Ratan Tata is the chairman of Tata Trusts while TVS group chairman, Venu Srinivasan and former defence secretary and former Tata Sons director, Vijay Singh have been appointed Vice Chairmen of the Trusts. On February 13th, the managing trustee of Tata Trusts, R Venkataramanan has also quit the Trusts while Jehangir H C Jehangir, who is leading Jehangir Hospital, Pune, has joined Ratan Tata Trust as a Trustee. Tata Trusts wield a lot of influence in the Tata group and as per Tata Sons articles of association appoint one third of Tata Sons directors and appoint and remove its Chairman.